Ultramarina was first released a couple of years ago by Juanjo Lopez, the Madrid-based graphic designer and hand letterer behind Huy!Fonts. Juanjo describes the font as “Halfway between nineteenth century display wood letters and the American grotesk sans-serif of the early twentieth”, which means it was only a matter of time before it found itself in the Swash and Fold font folder! Ultramarina is an elongated serif with both upper and lower-case characters, and comes loaded with a set of well-executed ligatures, confident OpenType flourishes and a handful of catchwords perfect for signage, display lettering and invitations. The characters are full of nice touches that prevent the font from appearing too formal, and with a bit of encouragement can take on an almost whimsical vintage storybook demeanor. The example this week takes the form of a bit of an advertisment, as I introduce the first The Knowledge workshop, designed to give creatives and creatively-minded businesses the knowledge to do more with their online and offline branding. 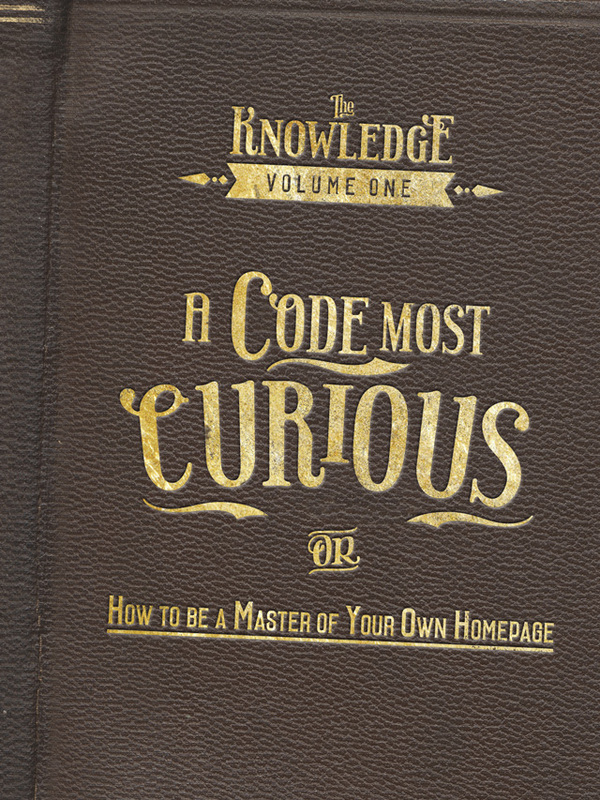 In the first edition (“A Code Most Curious”) we’ll be diving into the murky depths of HTML, WordPress and websites. The event takes place on Wednesday 17th July in Southbourne, Dorset (UK), and more information on the workshop on the Eventbrite page, along with a bit about the amazing venue! Ultramarina is available to buy from the Huy!Fonts MyFonts store, along with more examples of the font in use.